Golfers love to head abroad for their holidays so that they can enjoy a round in glorious weather. Popular hotspots include Florida, Portugal and the Costa Del Sol but there is no need to go that far to get a great game of golf. The UK weather can sometimes be a bit unpredictable when compared to these other destinations but having a holiday at home has so many plus points too. The UK has some beautiful areas that are just begging to be explored. We have some of the best cities, the most peaceful villages and everything in between. There truly is something for every taste. You can go camping, stay in luxury hotels or book a self-catering cottage right in the heart of where you want to stay. Why Golf in the UK? No matter where in the UK you live, or where you choose to take your well-earned break there is a golf course within a short distance for you to enjoy. Staying in the UK can often work out to be a more cost-effective holiday too. If you rent a holiday cottage between friends, the cost per person is relatively low. 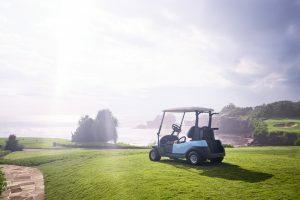 If you compare that to the cost of golf package holidays or airfares plus accommodation, you can save yourself hundreds of pounds, which is more money to spend on your favourite hobby – Golf!